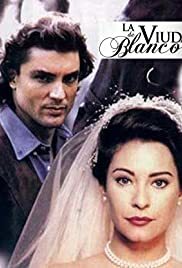 La viuda de Blanco (1996) is one of the best novelas I've seen in a long time. The 2006 version cannot compare to this one. The actress who plays the main character, Maria Helena Doering demonstrates beauty, class and elegance in her role, which is a rarity. She's an ex-model who not only shows her talent in acting, but can sing as well. This novela will grab your attention right from the beginning. The acting is wonderful, the storyline suspenseful (with a lot of twists) and the theme song is great! So if you're lucky to have this novela aired in your country, please watch it. I think when it first came out ten years ago, it was shown throughout the world so other countries have heard of it. One more thing, watch it for the twin boys; they are adorable!